Menara Kerjaya Fasteners Sdn. Bhd. (MK) started production in 1995 with the aim to fill the gap of shortage of supply and increasing demand for quality fasteners in the industry. 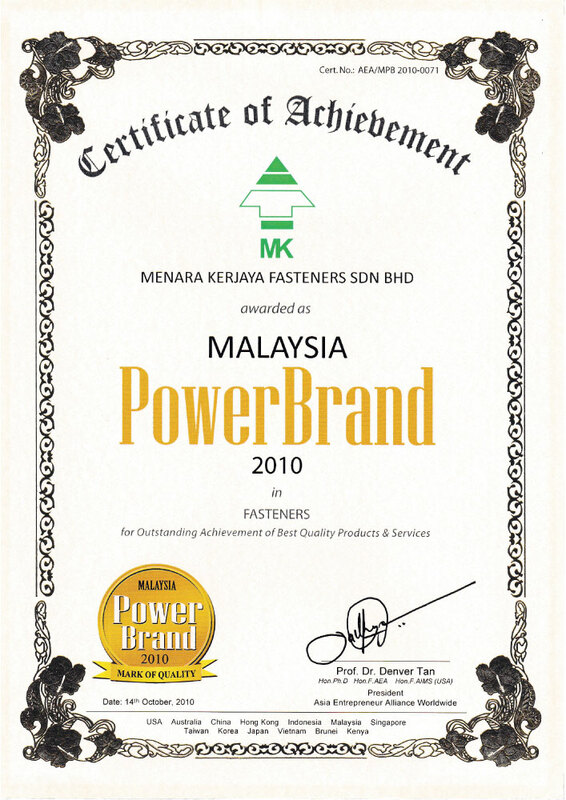 MK which is located in Perda SMI Industrial Park, Penang, is a 100% Malaysian-owned Fasteners Company and was well established for over 2 decades. In the early stage, we were focusing only on supplying our quality products to domestic market. With the commitment to producing good quality products and providing excellent services to customers, we were quickly acknowledged and entrusted to a substantial market in our domestic market.  In year 1997, we moved our production facilities to our present 5-acre-site with the aim to increase our production capacity as well as to serve our customer better. Equipped with bigger capacity, we made our debut appearance in international scene right in the depth of Asian economic crisis in year 1998.  In the same year our quality and products were happily accepted in Europe and Canada and steadily expanded into other countries. To ingrain good quality system from the onset, ISO 9001 were incorporated in our production system, and the quality management system were officially accredited by TUV NORD since 1998. With the outstanding achievement in the sector, MK was selected in Malaysia as one of the winners of SMI Recognition Award Series in year 2003, and our MK brand was awarded as Malaysia POWER BRAND in 2010. Now, being an international fasteners manufacturer, MK exports about 70% of its quality products and has a wide spectrum of clienteles across major cities in Australia, Canada, European Union countries, Middle East, South East Asia, and the list is ever expanding. As one of the major fasteners manufacturers, exporters and a World Class manufacturer of quality fasteners. • Continuous improvement in cost, quality and services. • Achieve total Customers’ Satisfaction. As an ISO 9001 accredited company, MK is always look to refine the business activities and tasks needed to maintain a desired level of excellence of customer satisfaction. This commitment is an embedded part of our quality management system to ensure we can achieve total customer satisfaction. The OEM Manufacturer Of Quality Screws & Fasteners. 1563, Mk 15, Lorong IKS Simpang Ampat 1, Tapak IKS Perda, 14100 Simpang Ampat, Pulau Pinang, Malaysia. 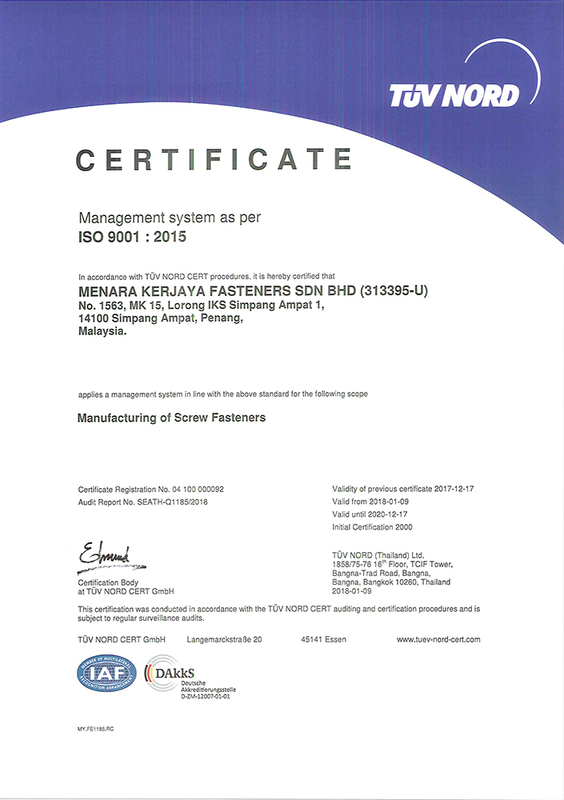 Copyright ©2017 MENARA KERJAYA FASTENERS SDN. BHD. All Rights Reserved.